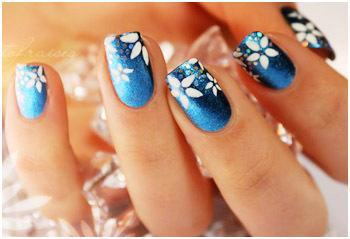 Glamour Nail & Spa | Nail Salon in Santa Clarita, CA | Best nail salon 91321 CA. Very nice people, great prices, relaxing atmosphere. They make you feel better about spending your money there. Welcome to Glamour Nail & Spa! Come to our Salon where you can enjoy the ambiance of our comforting decor. Our warm atmosphere is designed to make you feel relaxed and refreshed. Our nail technicians are very friendly and professional and our equipment is always sterilized, clean and sanitized for your safety. We understand the needs of each individual and we always strive to make your experience as comfortable and as pleasurable as possible. We have an extremely loyal clientele and we do our very best to make sure your service is perfect and personal each and every time. We are about building trust and relationships through excellent service and personal connections. Please come visit us and see for yourself. You’ll feel refreshed and rejuvenated after your personal treatment. Walk-ins are welcome. Copyright Hollywood Nails & Spa. All Rights Reserved.